*Venting Requirements: This unit requires venting pipe with an inner diameter of 12 Inches. Please see the Venting Components section on this page for venting pipe that must be used with this unit. Adding a storm collar to your ventillation system is a great way to minimize damage resulting from excess moisture. 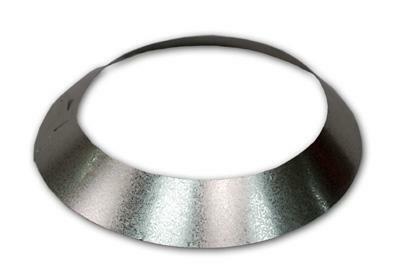 With this collar in place, you can keep moisture out of your pipes, and you can prevent cracking and damage that can quickly weaken your piping. This accessory is easy to install, and it provides an increased level of protection the can improve your ventillation system and allow you to continue enjoying your fireplace without the need for expensive repairs. Very helpful. Part was as described.